In Part Two of this 12 part guide to website optimisation, I explored competitor analysis for SEO. I continue our SEO theme in this guide where I will look at approaches I use to evaluate keyword performance and carry out keyword research. I hope you find the approaches interesting and I’ll be interested to hear how they differ in the approaches and tools you use, so please do leave comments and share this with your networks to encourage discussion. It’s a common mistake to focus keyword research on what’s out there in the market without taking into consideration what’s already on your Website. True insight is gained by combining these two data streams together. 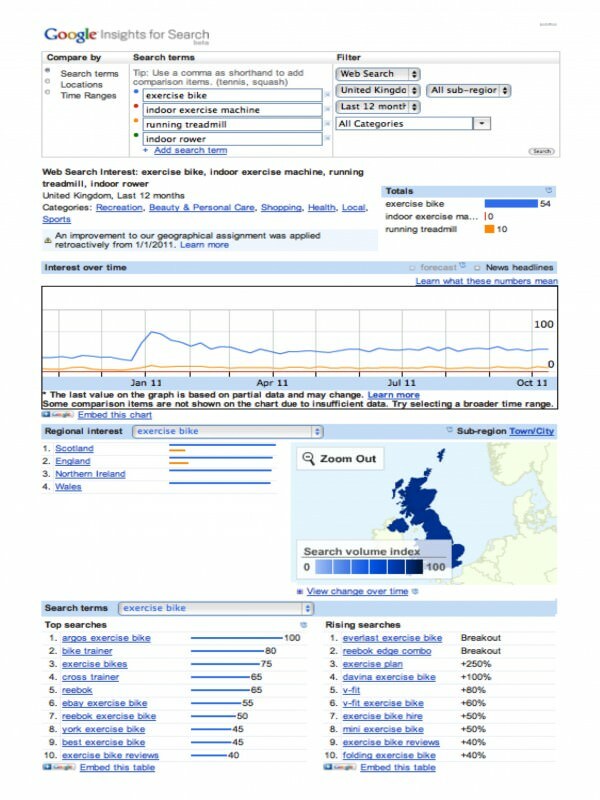 Combine the market research with current keyword data and map opportunities for keyword targeting. In this post I am going to take a look at each of these stages to demonstrate a logical, structured approach to keyword planning. I will focus on free tools made available by Google to help you execute this work. There are many other excellent free/paid for SEO tools out there (I personally use SEOMoz Pro regularly) but from experience I know people starting their SEO journey find the Google set easy to handle. 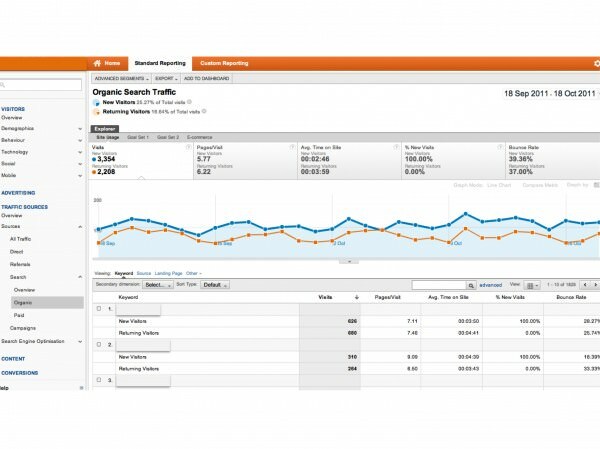 You need access to Google Webmaster Tools (WMT) and Google Analytics (GA). To enable both of these you need to add code to your website, a process that is not covered in this post. You can read Dave Chaffey’s earlier post on Google Analytics Setup Guide. In your dashboard click on Your site on the Web > Search queries. 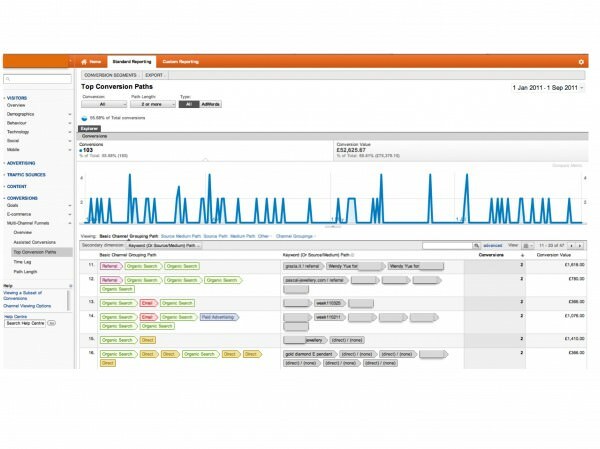 You will see a list of all keywords filtered by impressions by default. WMT provides data on changes to metrics such as impressions, enabling you to monitor keywords that are currently popular vs. those that are in decline. You can use filters to refine the keyword list to increase insight. For example, in Filters you can choose to show only Mobile (smartphone) traffic and specify the location e.g. United Kingdom only. This can help you segment your audience and identify important keywords across multiple segments, helping give a more detailed picture. For example, the keyword “product X” could have dropped 20% in the last week but when you segment by mobile (smartphone) traffic, for this segment it has actually increased. WMT can give you something GA can’t – impression data. You can identify keywords that aren’t sending traffic but for which your webpages have been seen by searchers. You can screen this data to shortlist keywords that are of potential value and for which you would like to drive traffic. You can then look at your current search listings and come up with ideas of how you can improve them to encourage clicks, such as testing alternative meta descriptions. You can also find keywords that you don’t think are sufficiently relevant and then optimise your pages to be associated with alternative keywords. WMT also enables historic comparison by changing the timeline and you can download the data – I find importing this into Excel to be the easiest for data manipulation. How reliable is WMT data? There are ongoing questions about the validity and reliability of data in WMT. Personally I wouldn’t use it for absolutes but it can identify opportunities. There’s an interesting (though relatively old) blog post from Tom Critchlow on Distilled about this. Worth a read if you want a fuller picture. GA enables you to go further with your analysis because it has advanced functionality in comparison to WMT. For example, you can create your own custom advanced segments to refine the data display and/or use custom variables. 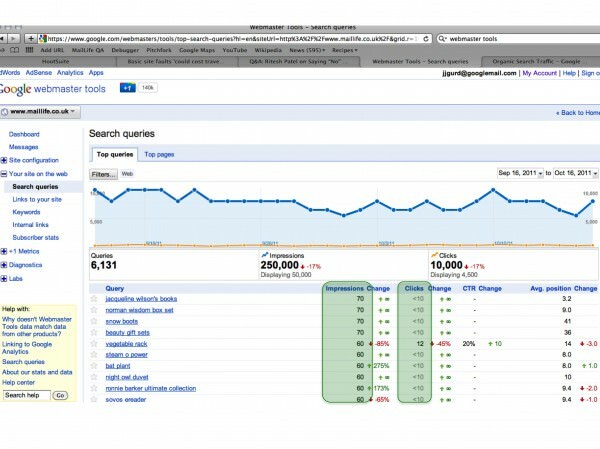 GA also contains conversion data for goals that help you establish which keywords are contributing to revenue. 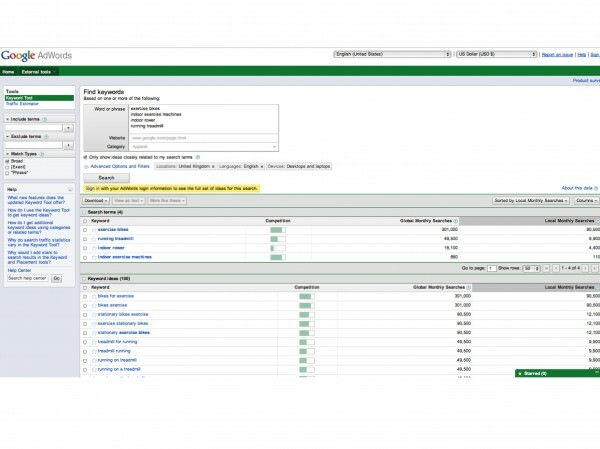 Use the Explorer tabs to refine the display based on Goal Sets and E-commerce to identify which keywords are contributing to soft and hard conversion. To put a rather large spanner in the works of digital marketers, Google has (under the cynical guise of improving data privacy) introduced SSL to searches on Google.com for logged-in users. What this means is that Google will no longer pass the keyword search term for visits from logged-in users. Essentially, the visit will still show as organic search but you won’t have a clue what the keyword is. This currently only applies to a small % of total traffic but this % is likely to grow, especially as Google+ encourages being logged-in to your Google account. You can read it straight from the Google horse’s mouth on the GA blog. Identifying which of the keywords already driving traffic are adding value is important. First, you need to understand what value means to your website and business. This is easy to validate. In GA use the Traffic Sources > Sources > Search > Organic report and click on the E-commerce tab in the Explorer (found at the top of the screen). You need to look at both the Revenue column and Per Visit Value. Why? A keyword might drive a lot of revenue but give low per visit value because it has a low conversion rate. This could be logical (e.g. it’s a high price product, considered purchase, so conversion is expected to be low) or it could identify an opportunity to improve the keyword targeting and website content. This is important because not every visitor comes to make a purchase; many are there to research or simply to browse for fun. However, during the buying cycle people will complete other goals as each goal helps contribute to increasing the visitor engagement and propensity to return. It is, therefore, recommended to add a value to each goal so that you can identify the non-financial contribution from each keyword when deciding whether or not the keyword is beneficial. I recommend reading Dave’s Google Analytics Goal Setup guide for more information and help in setting up goals in GA. This links with soft goals above – value is more than a revenue contribution for e-commerce. It pays to understand the value chain throughout the customer lifecycle, most of which occurs before and after a purchase. Attribution for search is where a keyword plays a role in the sales cycle but does not drive the final sale. This is harder to measure than standard metrics and there is debate amongst the Web analytics community about its relevance. I’m going to put my neck on the line and state that I think attribution analysis is essential for digital marketers. Why? Without it, inaccurate investment decisions can be made that result in sub-optimal keyword targeting, impacting your ROI. A keyword doesn’t have to give you instant revenue to contribute to channel profitability; paid search specialists know this well. Standard reports in Google Analytic would associate the sale with the final click, in this case paid search traffic from the keyword “Nikon D3100”. However, if it was not for the early research stage natural search click for the keyword combination “digital SLR”, it’s likely the final conversion would not have happened. Therefore, it’s vital for search marketers to understand the attribution effect between keywords that don’t have direct financial conversion and long-tail conversion from other keywords. I’ve seen web managers ignore important research keywords because they don’t drive any immediate financial value. This means the long-term ROI for search is compromised because failure to capture the mindshare of researchers correlates with a decline in long-tail traffic and revenue. In the new version of GA you can use multi-channel conversion funnels to demonstrate how natural search combines with other marketing channels to drive conversion and revenue. To get more granular detail (i.e. to learn which individual keywords are associated with conversion from other keywords), click on “Secondary dimension” and in Traffic Sources select “Keyword”. Bingo. Wonderful insight. On the surface the multi-channel funnels look pretty ordinary but if you play around and create your own, you can unearth some exciting data. You can also use tools like Clicktale – I’ve seen Clients using this to good effect but it’s paid for. Let’s start with the keyword tool. This is a free tool from Google that enables you to search on keywords to see which have the highest actual search activity on Google. This will provide the market relevance to help ensure you match keywords targets with what people are actually searching for online. Click on “Local monthly searches” to refine the display showing the keywords that have the highest local market searches first. Run searches in Google and see what the current results are – is your website relevant for the keyword? Refer back to your website – do you have sufficient content to cater with traffic from these keywords? Focus on keywords where you can tick this box before going after keywords that required new content and significant changes to the website. You now know which keywords are trending in the market and which ones are sending traffic to your website. What do you do with this data? I recommend inputting all the keywords showing GA, plus those with impressions in WMT but no traffic yet, into the Google External Keyword Tool so you can assess what share of total traffic you are getting. This helps you understand your current coverage vs. market potential. For example, if you have only 10 visits from a keyword that has over 10,000 local searches in Google, you know that you currently have 0.1% market coverage. By calculating your market coverage for all keywords you can start to identify SEO opportunities. Is there a big gap between total searches and the current volume the website gets from natural search? For each keyword, do I have a compelling product/service to encourage sales? Am I price competitive for these products? Do I have sufficient stock to support more visits to these pages? Do I have the right content to cater for additional visits? Using a suitable tool (I find Excel easiest again) calculate your value propensity for each keyword by adding the scores for each question. The higher the sum, the higher the value propensity. The higher propensity keywords should be your primary targets for optimisation because of the potential commercial value of increasing traffic from these terms. Please note that you can change or add to these questions depending on what you consider important. By asking yourself this type of question you start to think like a customer and tackle some of the more obvious barriers that would adversely affect conversion from natural search traffic, such as poor landing pages and out of stock items. Not everyone shops in the same way. For every person who knows exactly what they want, there’s someone else who is at the start of their learning curve and needs to research before making a purchase decision. There are three key stages to the purchase cycle and search plays an important role at each stage. However, the type of search that people perform varies significantly and you need. It’s helpful to visualise the different keyword searches that comprise each stage of the search tail and map against these the landing pages on your website that you will use to target the traffic. Doing this can help identify gaps in web content that need to be plugged to adequately cover the entire tail for specific keyword groups. I will cover this in more detail in next month’s post. Let’s take the example of a fashion retailer trying to optimise a Website for keywords relating to men’s designer t-shirts. The keywords below come from the market analysis done using the Google External Keyword Tool and Google Insights. 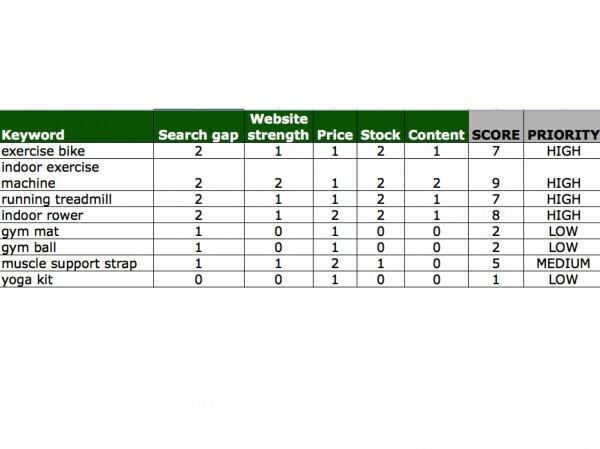 So this is Step Three in the Smart Insights 12 step series of Website optimisation for natural search. It’s by no means an exhaustive list, more a steer in the right direction. Please join in the discussion with comments and your own experience of executing keyword research to drive SEO insight. Keep an eye out for next month’s article, “Covering the tail of search with relevant keywords”.